Statue of Saint Vitus of 30 cm. 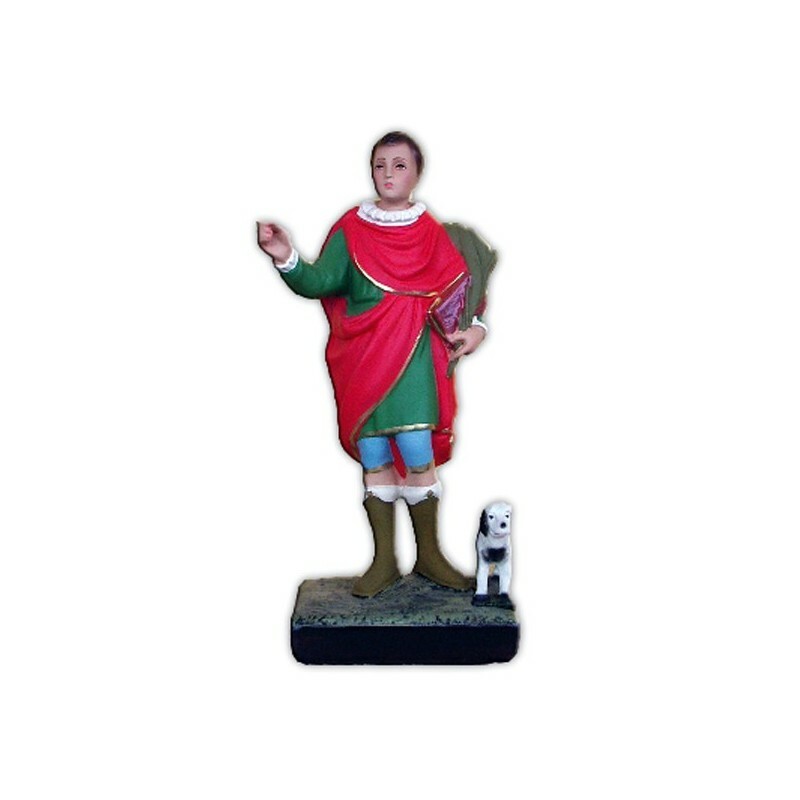 Saint Vitus martyr, saint Modesto and Santa Crescenzia are commemorated on the 15th of June. The died around 303, under Diocletian. His cult is very old and their Acts are reached in different versions. Saint Vitus is illustrated as a baby, Saint Crescenzia as his wet nurse ans Saint Modesto as the her husband. Saint Vitus is invoked againts the epilepsy and the nervous ache, called “the Saint Vitus dance”. One of his miracles is considered that when he saw two dogs which were tearing to pieces a baby. He stopped them and he gave back life to the baby. Saint Vitus is the patron of Regalbuto and the protector of the dancers. He is illustrated as a youth with a palm and two dogs at his feet.